Cavendish Square – one of the best shopping malls in Cape Town – offered us the opportunity to exhibit and sell at their green pop-up store MBY&C (which stands for “Made By You and Canvendish”) opening for the Month of October. 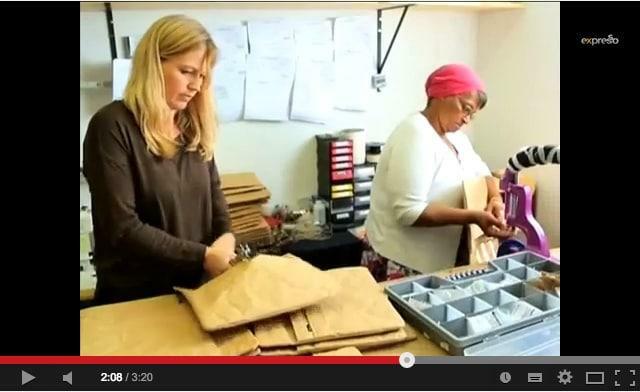 At the launch I chatted to Espresso Show and few days later they came to our studio to see how our products are made. Here is the clip that was on tv. Thanks Cavendish for the opportunity to participate in a project like this that bring awareness to the public of upcycled products. Thanks to Espresso and the team for sharing this great clip. This entry was posted in Blog and tagged cavendish cares, cavendish green, cavendish pop up store, expresso show, expressoshow, MBY&C, pop-.